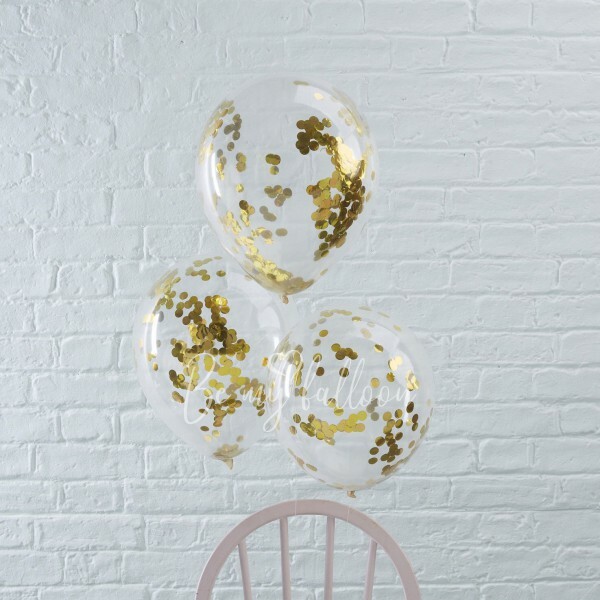 This super balloon filled with gold confetti will be an essential addition to your decorations ! Do you feel like putting stars in the eyes of your guests? These balloons would be perfect for adding the finishing touches to a hen party or a chic or gold-themed wedding! You could equally use them for decorating a glitter, princess or angel-themed child's birthday party or a Gatsby party! They would create a great effect if they were hung up in clusters or simply filled with helium and released into the air. Mix these balloons with golden foil balloons for a totally gold look !